Having a stuffed animal used to be considered childish, but today stuffed animals are making a comeback. Many teenagers, college students and adults across the globe still have their stuffed animals from when they were younger. Don’t lie, we bet you do too! 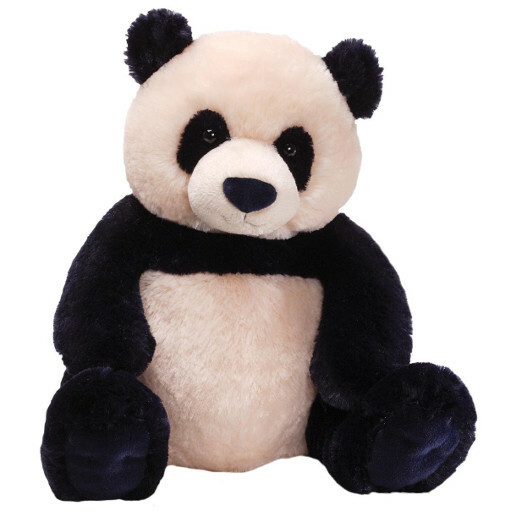 If you’re interested in adding to your collection or passing one along to the younger generation, check out these 20 giant stuffed animals that are just perfect for cuddling. Before we get started, we need to take a quick look at storing all these giant stuffed animals. We’d like to bring to your attention this portable, easy-to-setup, giant stuffed animal zoo. 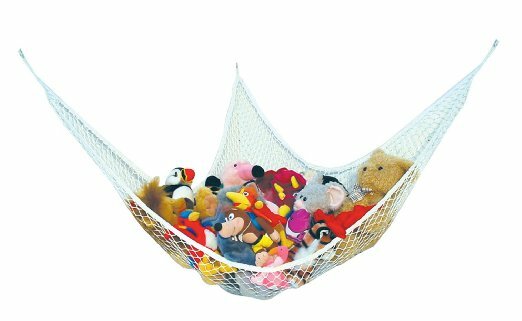 This stuffed animal hammock is perfect for your stuffed animals to cuddle in while you’re not snuggling them. Plus, you might not be able to fit them all in bed at once so they’ll need somewhere to stay! 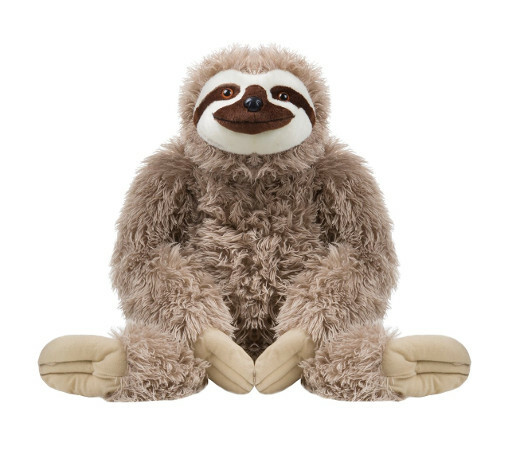 I mean this site is all about sloths, so obviously we would start this list off with a jumbo plush sloth stuffed animal. 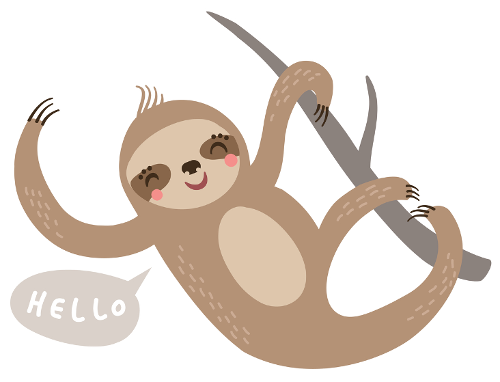 It’s super soft and you’ll be pleased to wake up in the morning with this smiling sloth curled in your arms. Pandas are all the rage right now thanks to Designer’s song that swept across the country this year. While you might not have broads in Atlanta, you can have this massive snuggly panda in your bed. Which honestly sounds like a better deal to us! Answer this question: is there a cuter animal on earth than a baby sea turtle? Besides sloths and penguins, we don’t think so! 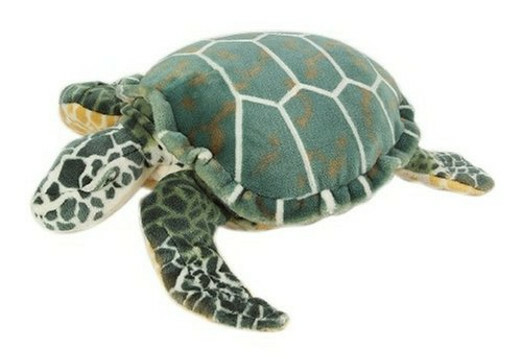 That’s why this giant plush stuffed sea turtle is a must have. Know any snorkeling or scuba diving enthusiasts? They will love this too! 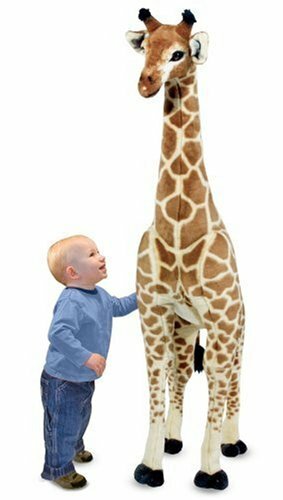 This stuffed giraffe is over FOUR FEET TALL! 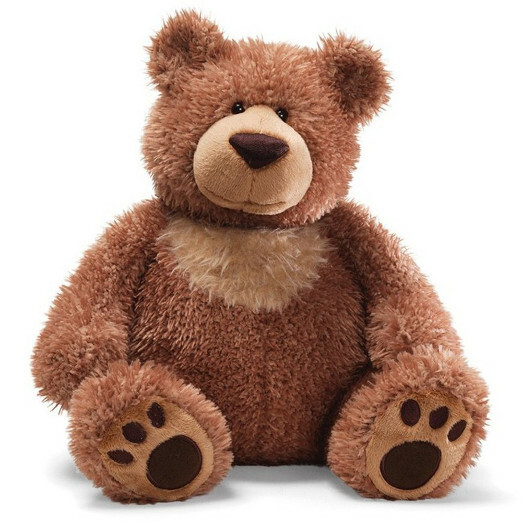 It will literally tower over any young children that you give it too, but think about how cool it will be measuring their growth against this cute stuffed animal? Those are certainly pictures you will keep for a lifetime, just like they’ll keep this giraffe! Sometimes in life you just need to get in touch with your wild roots. 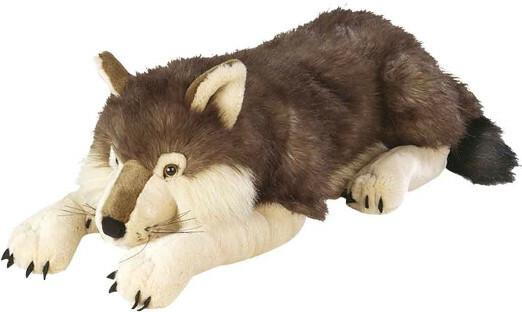 That’s why this 30” Cuddlekins wolf is a great addition to the home of any future woodsman. If you live in a log cabin than this is just a must have. 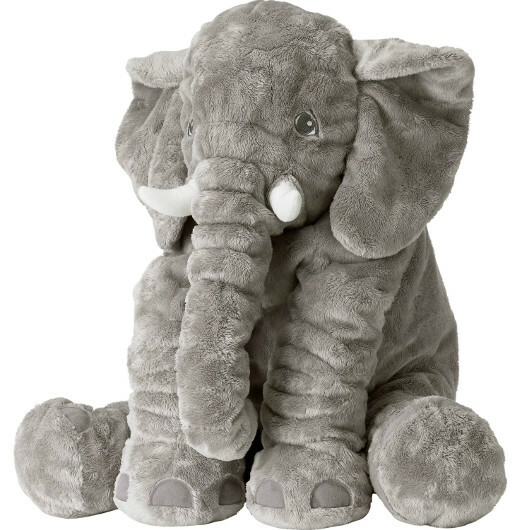 This soft gray elephant is simply perfect to cuddle up with, especially if you just got dumped. The trunk will even feel like your significant other’s arm is wrapped around you as you snuggle it in bed! So buy this elephant, a pint of Ben and Jerry’s and Adele’s new album and you are set to take on this breakup. 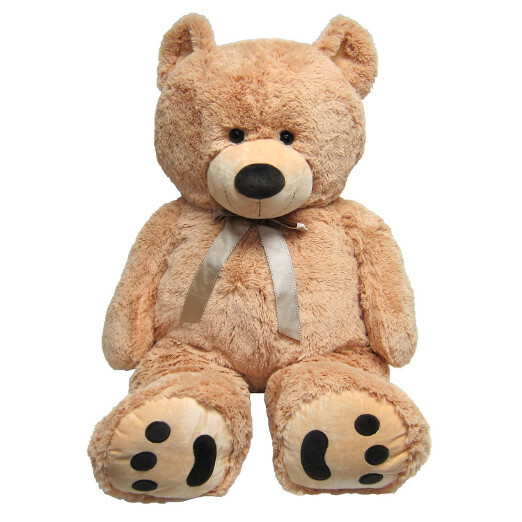 Is there anything more classic than a stuffed teddy bear? This dopey little guy might take the cake though with his cute smile and super soft fur. Winter is coming and this guy is a perfect snuggle partner. This soft, snuggly doggy pillow is the perfect place to rest your head. 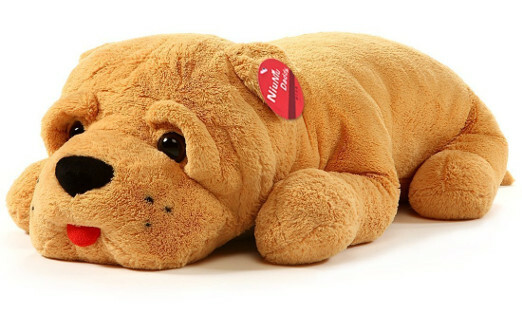 At 47” long, you could even snuggle it against your body, pretending that it’s a real dog! This is the perfect addition to your house if your kids keep asking for a puppy, but 3am pee breaks and picking up poop isn’t for you. Have you ever watched those tiger shows or seen the Facebook posts of people playing with and hugging tigers? 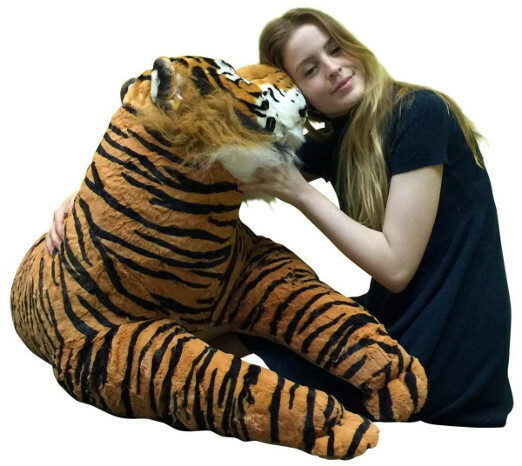 Did it make you jealous, wishing that you had your own tiger to snuggle? 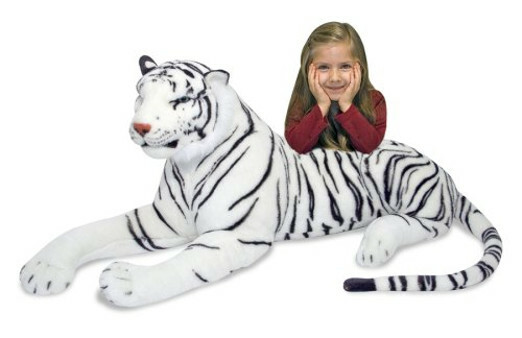 Well with this massive plush white tiger, you can finally make the dream a reality! 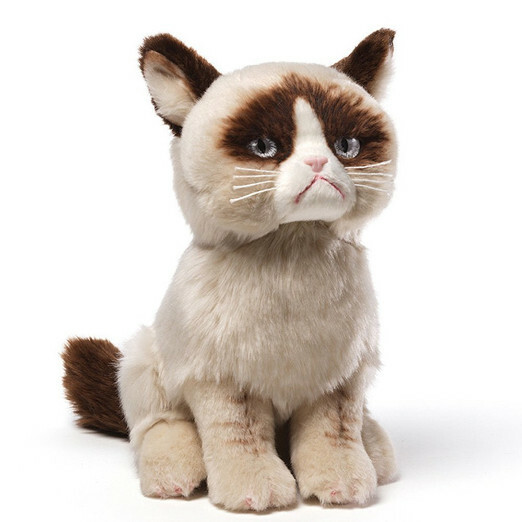 At almost a foot tall, grumpy cat takes on a lifelike form in this stuffed animal. If the memes and social media posts of this furry little guy aren’t enough, now is your chance to bring the famous Grumpy Cat to life. Let us know if you ever get him to smile! Today might just be your lucky day. 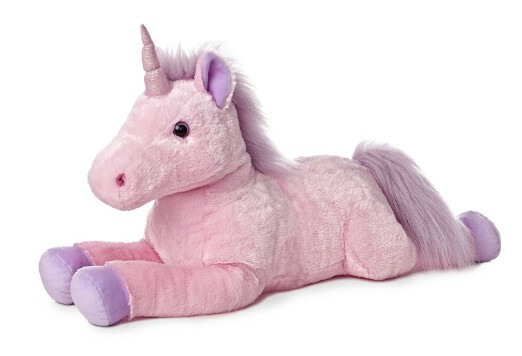 By reading this article, you were able to come across this majestic, magnificent stuffed unicorn. This pretty lady is plush and extremely soft. It’s perfect for the little princess in your life. Okay at this point you might just stop reading. This is a HUMAN SIZED stuffed monkey. 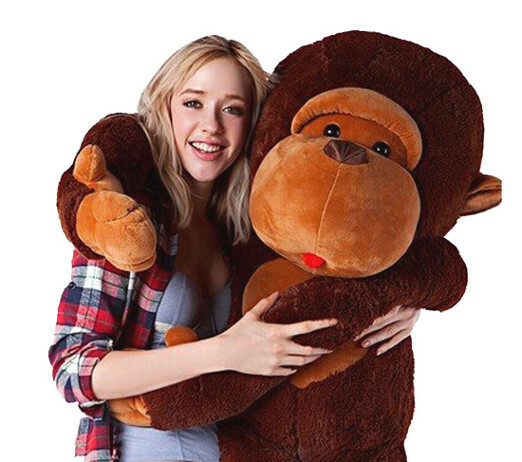 For those monkey lovers out there, this big guy is a great addition to your home. Imagine coming home from a long, stressful day and cuddling up in your monkey’s arms. Calling all adventure seekers! Repeat, calling all adventure seekers! 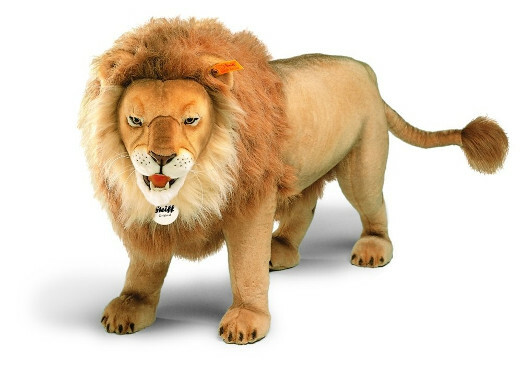 This is a LIFESIZE male lion in the standoff position. This is a great addition for the room of the little adventure seeker in your life. It will keep them safe while they sleep, and while they’re at school, you can sneak some cuddles too! Note, for almost $5,000, you better get A LOT of snuggles in. Similar to the lion above, this massive tiger is near life-size. It is 46 inches long with a 30 inch tail, and doesn’t come with too hefty of a price tag. A click of a button is all it takes to bring this big guy home. If you want a teddy bear that isn’t large enough to steal the bed from you, but will still make your lady smile, then this soft guy is perfect! It’ll be sure to put a smile on her face, and you in her good graces! Although everyone thinks sharks are, dolphins are the Kings and Queens of the sea! 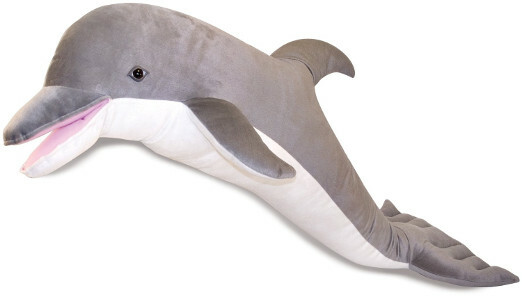 This plush stuffed dolphin is great for any aquatic animal lovers. 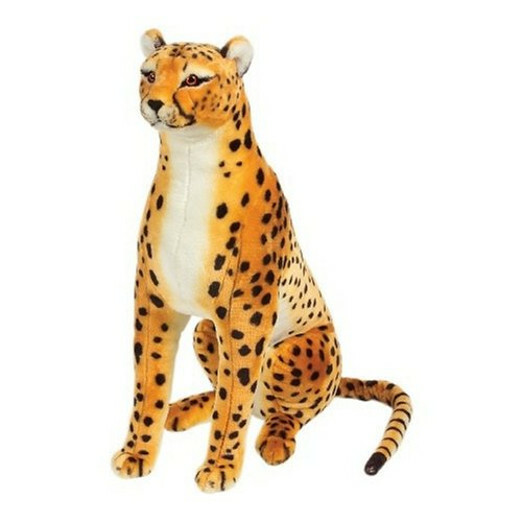 At just over 4 feet tall, this plush Cheetah is the perfect protector for a little safari adventurer, or even a big safari adventurer! He can stand on his own, so it won’t take up too much floor space either. Although, we’re sure this soft guy will be in bed with you! 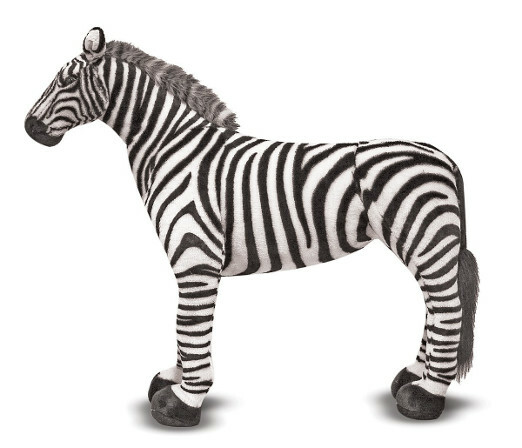 This zebra stands at just around 3 feet, so it’s not as large as some of the others, but still has plenty of attributes that make it the perfect cuddle partner! It’s lifelike and super soft, so snuggle away! A penguin. Need we say more? Penguins are perhaps the second cutest animal on earth – behind sloths obviously – and this soft little guy will make the perfect addition to literally ANY home. What are you waiting for? 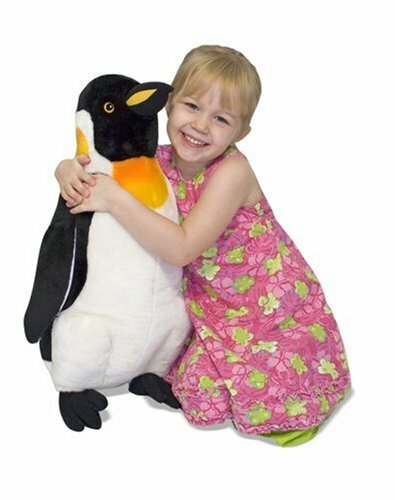 IT’S A STUFFED PENGUIN! Check out all our sloth items on our dedicated sloth product page, click here! Are you a giant cuddly penguin or a giant snuggly sloth kind of person? Let us know!